The original DampMat now re-launched with improved properties. A Lighter & Flexible version of DampMat for people on a budget. 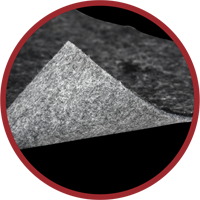 DampMat Plus foam based damping for better speaker performance and less outside noise. The sound barrier for airborne outside noises. 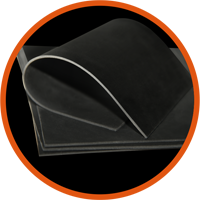 Hard and Soft felt cloth insulator for better sound insulation from wind and tyre noise. Provides a professional finished look for your Damping applications. 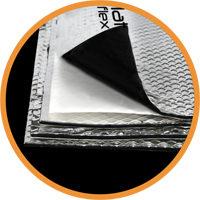 We have a wide range of sound deadening products to cater everyone needs. 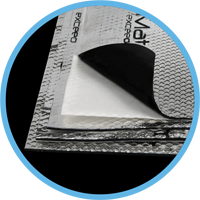 DampMat products are made keeping in mind the highest industrial quality and are much heavier than other reputed imported brands available. 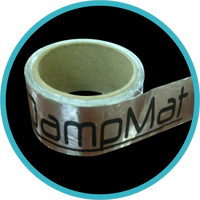 DampMat products are proudly made in India and have been tested for all weather severe conditions. Our products are priced way lower than similar products from international brands. One of the perks of being 100% Made in India. Sympro Manufacturing established in 1995 manufactures a wide range of industrial products. We have been manufacturing industrial products for past 20 years with a mission to deliver high-quality products and solutions with exceptional customer satisfaction. DampMat was introduced in 2012 out of the need to provide auto enthusiasts with high-quality acoustic solutions for better in-car sound. Over the past 5 years, DampMat has made a name in the car acoustic solutions industry, as a product that does not compromise on quality yet provides exceptional value to consumers. We have a dominant market share in car acoustic with a broad range of unique products and continue to grow our product range based on our customer and dealers feedback. 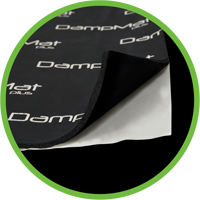 DampMat started with a single product and now has grown into a whole product line of car acoustic and sound deadening products which cater everyone’s need without breaking the bank. At DamptMat our mission is simple; to provide the best sound deadening automotive products without any compromise on the quality. We strive to grow in the industry and stay ahead of the competition with our in-depth knowledge and research team. We take our customer feedback very seriously and always provide round the clock unbiased support for our dealers and customers. Have any queries with regard to our products. Drop us a query. Copyright DampMat 2016. All rights reserved.